Something Marvel fans have been wondering about for a while now is where the heck has Pepper Potts disappeared to? Over the three Iron Man movies, Tony Stark and Pepper seemed to have grown into an unbreakable couple, but then Captain America: Civil War dropped the bombshell that the pair had separated. After that, we thought we’d seen the last of Gwyneth Paltrow in the MCU. As it turns out, though, we thought wrong. That’s because the actress has a cameo role in Spider-Man: Homecoming, marking her first appearance in a Marvel film since 2013’s Iron Man 3. 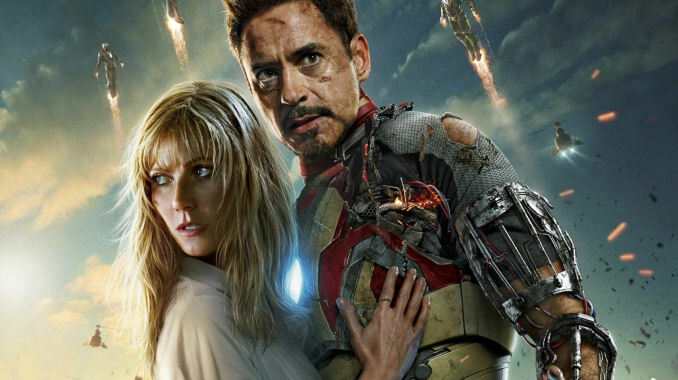 As you probably know by now, Potts is back with Tony and though we’re not sure where her arc might go from here, it sounds like she’s not done with the Marvel Cinematic Universe just yet. That’s because Paltrow is apparently set to appear in Joe and Anthony Russo’s Avengers; Infinity War. Her role likely won’t be too big, given how many characters the film is already set to feature, but from what we understand, she is involved. While welcome news – assuming it’s true, of course (without a confirmation from Marvel we can’t say for sure) – this is hardly surprising. It wouldn’t make sense to re-introduce Paltrow only to remove her from the franchise again after just one small appearance. That being said, we don’t see her sticking around for too much longer, given that Robert Downey Jr. is probably on his way out and won’t be in the MCU past Avengers 4. Or at least, it’s highly unlikely that he will. Either way, it’ll probably be some time before Marvel’s exact plans for Avengers: Infinity War become clear, given that there are still a whole handful of movies set to be released before it arrives, but with D23 quickly approaching, not to mention Comic-Con, we should start to learn at least a little bit more about it over the coming weeks. Whether we’ll get a confirmed cast list, or even some footage remains to be seen, but we imagine that by the end of July, we’ll have a slightly better idea of what to expect from the superhero extravaganza.